It has never been a better time to buy a 4K gaming monitor since they continually keep falling in price. More 4k content is becoming available, and consoles will support 4k gaming soon. That’s why we are going to look at five of the best cheap 4k monitors that you can get on a budget. n fact, this monitor covers the entire sRGB color space, so it is excellent for photographers or designers too. And because it is an IPS panel, it excels in all other areas as well. It has wide viewing angles (up to 178 degrees), and a static contrast ratio of 1155:1. Now regarding ports, this monitor has HDMI 1.4, DisplayPort 1.2 and Mini DisplayPort 1.2. And honestly, for something which looks this good on the outside and has such a good panel quality, it is incredible that it is that cheap. A bit of a bargain, I think. It has a fantastic stand, very minimalistic, and thin bezels. The only problem is that some Amazon reviewers have commented that the monitor wobbles and nearly tips over when they move their desks. But when you play games on it, you won’t notice any wobbling or tearing, because it has AMD FreeSync built in which matches the refresh rates between your GPU and your monitor. And Samsung has stuck with the gamer theme when it comes to choosing the panel. They have gone for a 28-inch TN, and you are probably thinking, “Oh, no, terrible viewing angles, washed out colors.” But it is not at all bad. That is part of the new generation of TN panels. 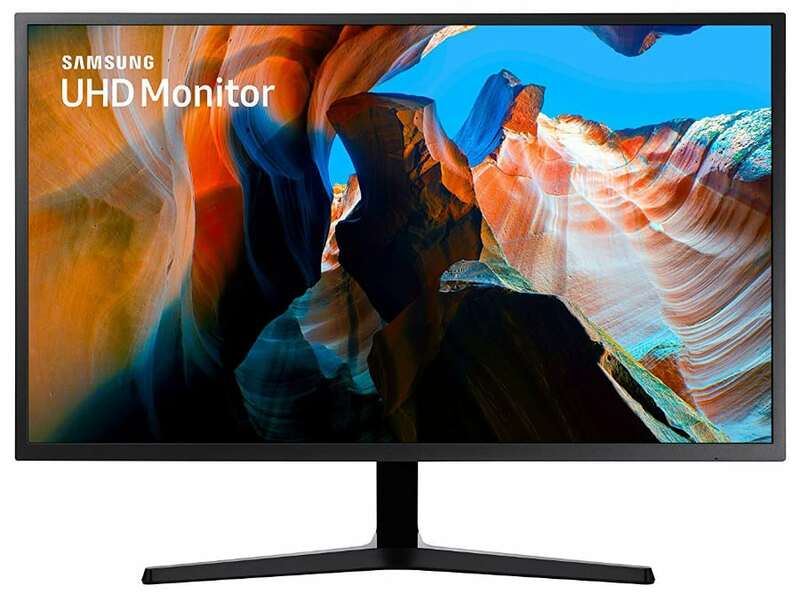 And Samsung has managed to integrate 170-degree viewing angles, unheard of for TN panels, while keeping their main advantage, which is fast response times – this particular monitor has 1 millisecond. And the good news just keeps going! It has HDMI 2.0 ports. That means that you can get 60Hz at 4K through HDMI. It also has DisplayPort 1.2, and all this stuff for a price of only less than $499. That is a cheap 4k monitor for gaming. Now in comparison to the previous two monitors, this one looks just a little bit dull on the outside. Very business-like, but that’s not necessarily a bad thing. But it does have a TN panel, which some people might see as a bit of a negative. But here is the incredible thing. It is a 28-inch 10-bit TN. I bet you have never heard of one of those before. So that is 1.07 billion colors with no dithering at all. Now you might be thinking, “Well, 10-bits on a budget, there is got to be some compromise here.” But there is none. It has a 1-millisecond gray to gray response time, which is up there with the best of them. Despite the TN, it has a horizontal viewing angle of 170 degrees. And the contrast ratio – you wouldn’t believe this – it is 100,000,000:1. Do you want to know the reason? 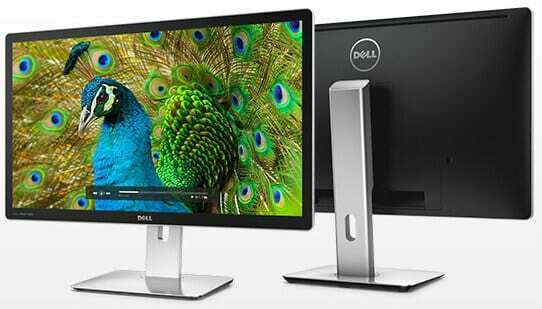 Because it is a dynamic contrast ratio, which means that the backlight brightness changes depending on the content that you are viewing. Now, regarding ports, you are getting two HDMI 1.4, so, unfortunately, that means that you get only 30Hz with 4K content. But you also get a single DisplayPort 1.2, which allows you to have the full 60Hz. Overall, this monitor, which is only around $500 on Amazon, sounds like an excellent deal to me. First of all the construction looks very robust. The stand almost looks like metal, but it is just plastic. And unlike some other monitors, you can see that the base is really large, to prevent the risk of it tipping over. And to go with the large base is a colossal screen – it is 32 inches. It has a semi-glossy covering. And the panel is very interesting, it is called AHVA, and it is a compromise between TN and IPS. So that means that you are getting TN-style refresh rates – on this monitor, it is 4ms gray to gray – while still maintaining those IPS viewing angles of 160 or 170 degrees. Now this fancy panel also has some other good advantages. It has no perceptible backlight bleed at all, which is quite impressive. It also has 8-bits plus a bit of dithering to give an effective 10-bits and 1.07 billion colors. And it covers the entire sRGB color space. Plus, the contrast ratio of 1000:1 is quite reasonable. Now, regarding ports, you are getting dual HDMI 1.4, DisplayPort 1.2, Mini DisplayPort 1.2 and dual-link DVI, which is quite unusual. This monitor might be a bit larger and a bit more expensive than the other options on this list, but still, it only costs around $800 from Amazon, and I reckon that paying the premium is worth it. The LG 27MU67-B is the cheapest 4k monitor worth owning. 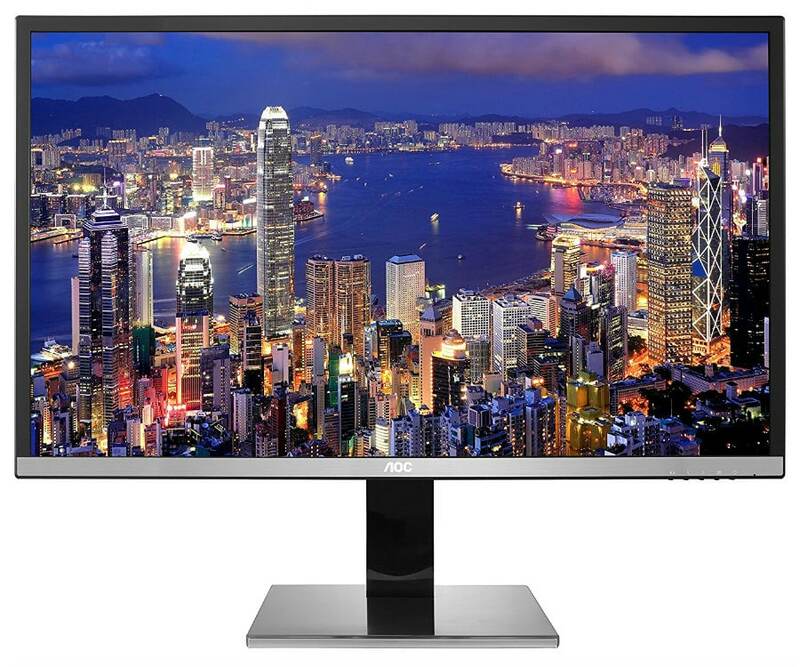 This is a 27-inch 4k IPS monitor for less than $530. It promises some nice images, and it turns out that it does deliver. The 99% sRGB coverage is excellent, so it is ideal for colour-accurate work. And the static contrast ratio of 1000:1 isn’t too bad either. It is the same old 8-bit panel with dithering to create 10-bit with 1.07 billion colors that we have seen again and again on this list, but it does work very well. But here is something that you haven’t seen on this list. An IPS with AMD FreeSync included. But you are probably saying, “Well, why to bother including that technology on an IPS when the response time isn’t fast enough to notice it?” Well, it turns out that this particular panel has 5 milliseconds gray to gray.
. Do be warned though that it might be very hard for your graphics card to push all those pixels around. Talking about pushing things around, who was pushing the design team at LG to make such terrible decisions with the ports on this monitor? Sure, it has DisplayPort 1.2, Mini DisplayPort 1.2, and two HDMI 1.4 ports. But, come on, they are no USB ports included at all, which could be a massive downside for some users. 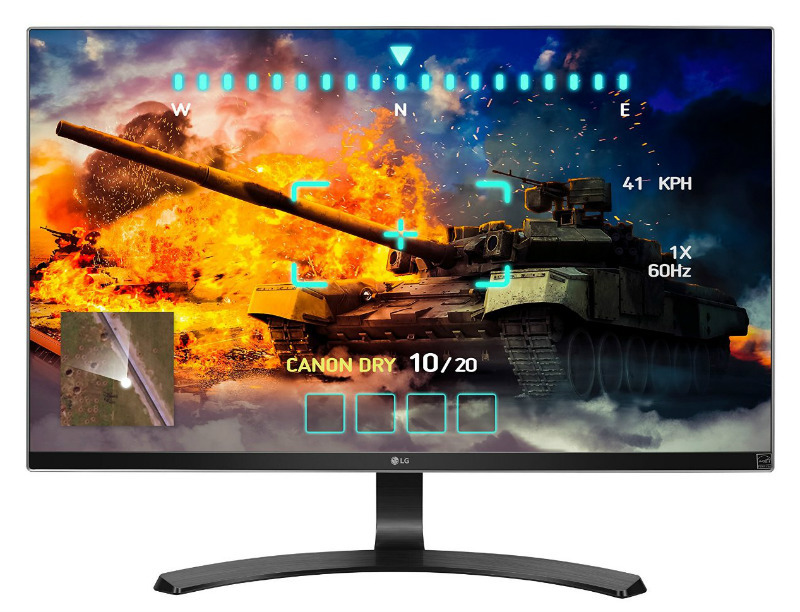 Then again, I suppose there is not much point in getting too disappointed because you are getting a full 27-inch, IPS, 4K gaming monitor for less than $500. 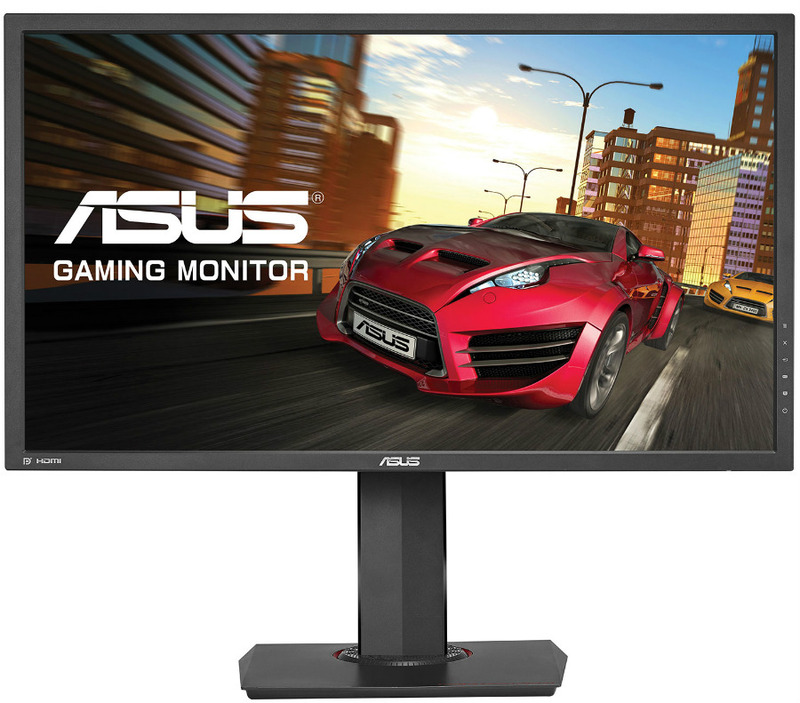 The Asus MG28UQ is one of the best 4K gaming monitors to have come out of the market at such an affordable price. Performance-wise, this sophisticated monitor will satisfy your gaming cravings with its low input lag rating and decent imaging performance. The 8-bit interface of the TN panel allows full sRGB coverage with excellent accuracy which is as close as TNs will get to IPS’ capabilities. 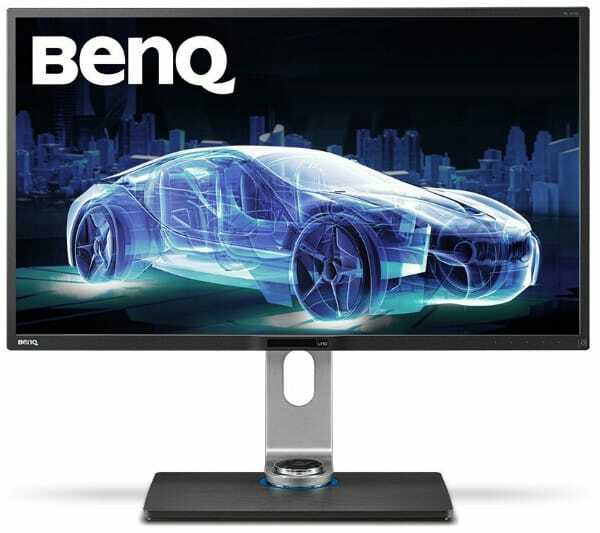 This monitor can only go up to 60Hz but its FreeSync capabilities along with a snappy and responsive feel is more than enough for extreme gaming. UHD gaming will test your computer’s limits, so thankfully, the Asus MG28UQ is much more affordable now. Saving cash will allow you to upgrade your system to run this monitor more efficiently. Despite its affordable nature, the brand did not skimp on the Asus MG28UQ’s build quality and design. The whole product feels sturdy without any wobbling or flexing, plus it includes creature comforts we all want in an enthusiast display. You get a fully-ergonomic stand and a multi-directional OSD joystick which are usually found on the brand’s PG line of upmarket gaming displays. The AOC U3277PWQU isn’t perfect at both spectrums of monitor usage, but its mid-range price and stand-out abilities make it an excellent entertainment or casual gaming display. First of all, the monitor is well-designed with reasonable proportions and features, plus a minimalist aesthetic oozing with a functional appeal. 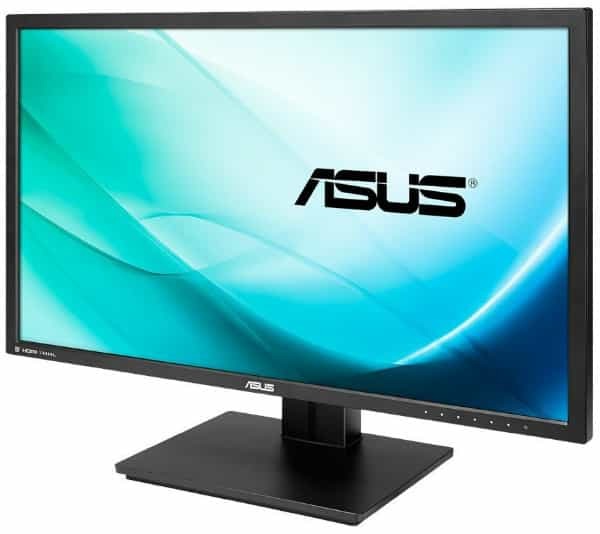 The monitor comes with a wide range of connectivity options, plus a fully ergonomic stand which isn’t typical at this price bracket. What’s most enjoyable about the AOC U3277PWQU is its 31.5-inch VA panel due to its crisp and sharp imaging capabilities. sRGB content is almost faithfully represented with the monitor’s pre-calibrated accuracy while viewers get to enjoy the deep, oily blacks and excellent visibility courtesy of the extended contrast ratio. If you are looking for an all-in-one display for casual use, the AOC U3277PWQU is a reasonable choice. Its connectivity will allow you to attach a PC and a gaming console to maximize the screen real-estate while also saving on cost and space. When it comes to gaming, this monitor isn’t the fastest in the market, but its attractively-priced package makes it an enticing buy for thrifty shoppers. The LG 27UD68-P is one of our favorite 4K monitors available on the market, but the best part about it now is its reduced price. The gorgeous IPS panel is capable of excellent color fidelity and crisp details, ensuring your gaming and editing experience is always enjoyable. LG’s industry expertise in this panel type is apparent in this superb offering. The LG 27UD68-P is also one of the better-designed monitors out there when it comes to aesthetics. The bezel-free face offers an undisturbed viewing experience, plus it gives the impression that the screen space does not end in a specific spot. LG’s ArcLine design treatment complements the modernist appeal of this monitor while giving it stability and decent ergonomics. Functionality wise, you can’t go wrong with this value-oriented option as well. 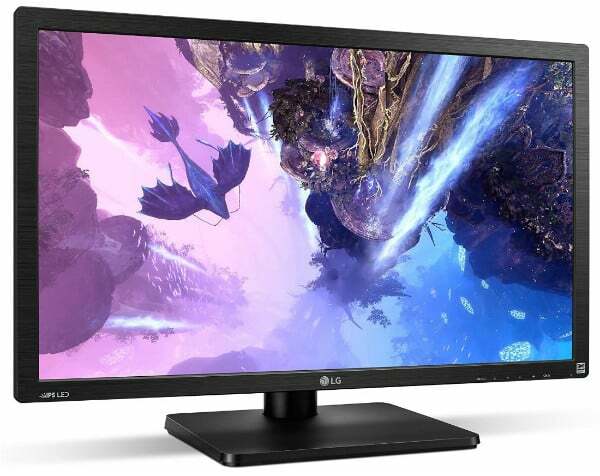 The connectivity will allow owners to connect a capable PC and up to two 4K consoles which make the LG 27UD68-P a good candidate as a battle station display. Finally, this model’s FreeSync feature should take care of the stuttering and tearing when 4K gets too intense for your gaming setup. 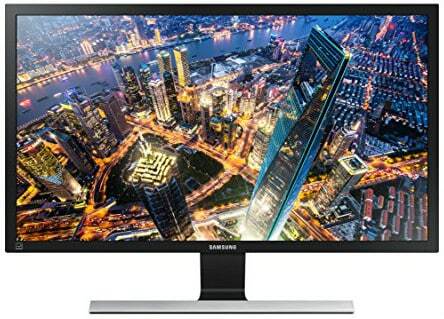 The Samsung U32J590 is a steal at its current price point because it offers a massive, 32-inch UHD display for the price of a 1440p display. This model isn’t as sophisticated as the brand’s upmarket offerings, but its a great solution for day to day tasks which includes casual gaming. 4K at 32 inches is the perfect fit, ensuring users won’t have to resort scaling while games and movies are enjoyable. We dig the Samsung U32J590’s exterior design which donnes a dark blue gra y scheme. The device’s ergonomics are limited, but its sleekness makes it look as svelte as its premium cousins in Samsung’s latest updated portfolio. Its I/O panel is capable of handling typical 4K devices aside from your PC, making it a very affordable all in one solution for your office or entertainment setup. 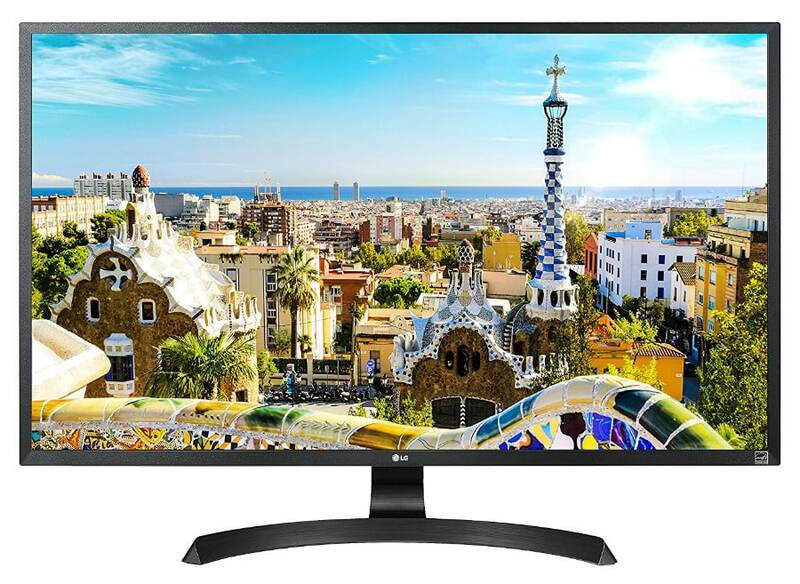 The LG 32UD59-B offers a large 4K VA screen that’s capable of great image quality at a minimal cost. The main highlight of the device is its larger, 32-inch screen that displays 4K visuals perfectly and comfortably, eliminating the need for scaling text and detailed graphic images. It’s one of the options we’d consider for console gaming as well due to its size which looks more natural than an overly sharp 27-inch model. The image quality brought about by the LG 32UD59-B isn’t perfect, but its expected and acceptable for a budget display, especially one that has a 4K resolution. The monitor puts out sRGB colors with some extensions, but color accuracy is a bit skewed. However, its great that this model responds quite well even to manual OSD calibration, so its easy to attain your preferred look for the screen. What’s most surprising for the LG 32UD59-B and its price range is it still manages to included an ergonomic stand. The mechanism doesn’t swivel or pivot, but it lets the display tilt and most importantly, adjust the height. The product is also VESA mountable, and has sufficient connectors for a PC and two other 4K devices such as consoles or players.